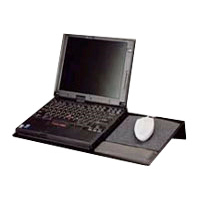 The Adjustable Notebook Platform from 3M helps raise your laptop's monitor height by inclining your laptop so that you can see the monitor better without crimping your neck. 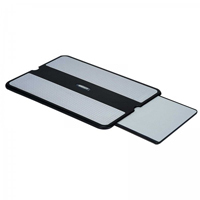 The platform is non-slip to keep the laptop securely in place and features a mousing platform with a 3M Gel Wrist Rest and 3M Precise Mousing Surface for improved grip and traction. 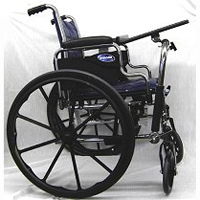 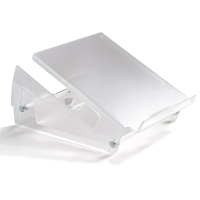 Made of sturdy metal, the base can be adjustable via the knobs at the back and has cord clips on the underside so that device wires can be better managed. 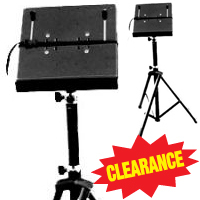 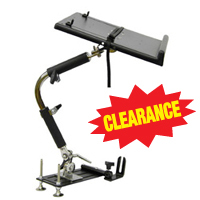 The large diameter, wide-based aluminum Tripod Laptop Stand from Foxbay is designed to withstand heavy 'on site' use. 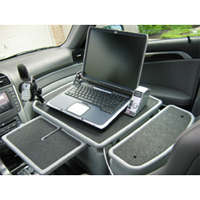 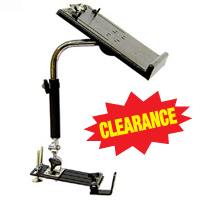 It features a spring-loaded platform allowing the user to quickly mount and secure their laptop to the stand. 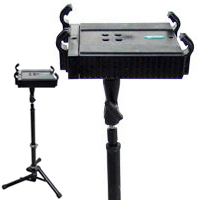 It is an extremely flexible field unit, whose base may be extended or retracted, allowing the user to either sit or stand.